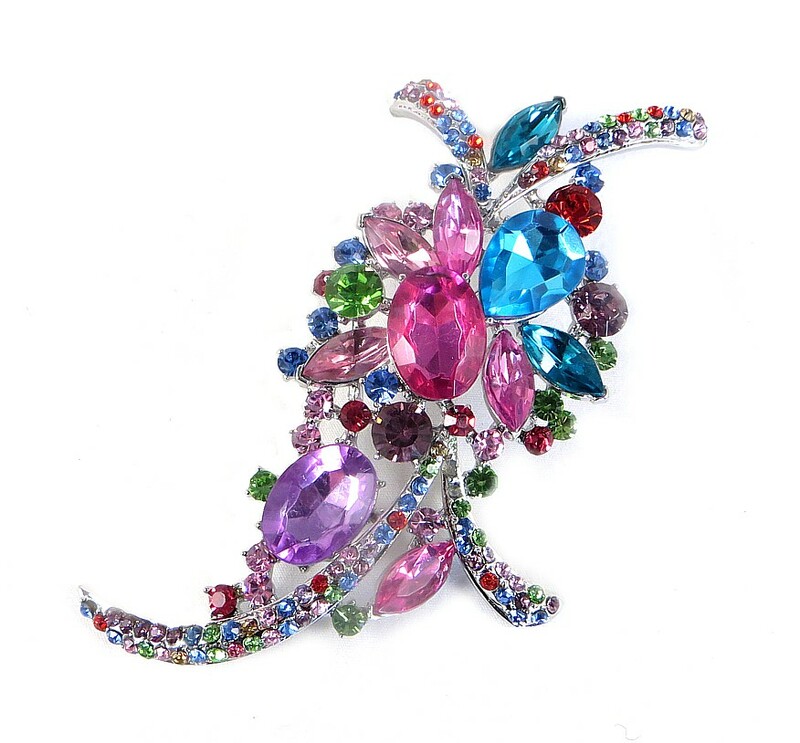 Totally outrageous, multi-coloured brooch that really makes your outfit stand out. Pin it onto any of your existing coats and jackets for an instant dash of pure unadulterated glamour. Add it to your LBD for a completely new look that will have compliments flying. The colours are electric. The style is classic. The combination is divine Size: 12cm (4¾").